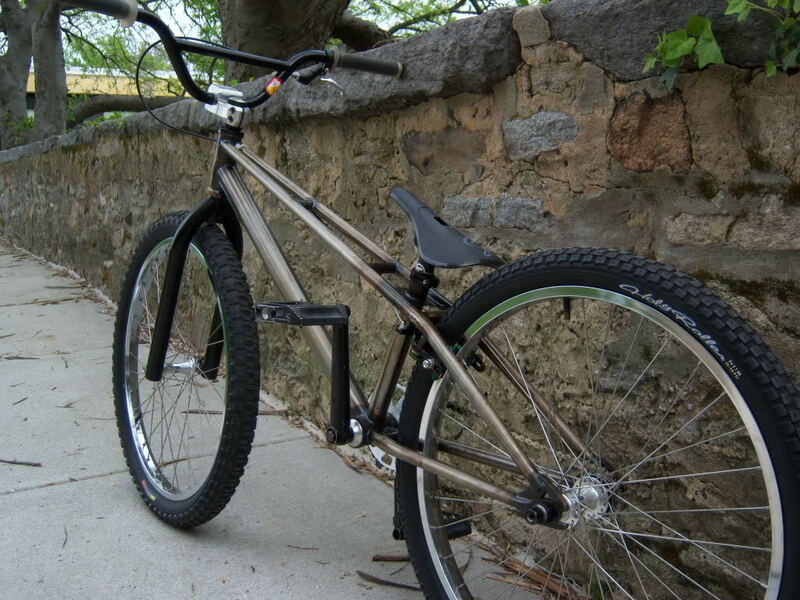 Josh from Coyote Bicycles sent an email a while back about his new frame and I have to say it’s definitely one of the more interesting looking 24s coming on the scene. Missing the era of twin-tube frames, like Torker, etc., Josh set about bringing it back…but this time with a more modern take on it . The result: a bike with a relatively quick head angle, short rear end, integrated headtube and mid bottom bracket. The only other twin top tube 24 offerings that I am aware of are the Ambiente and the Brooklyn Machine Works Pooky. Ambiente may be out of business now so a twin top tube 24 is as a rare as it is cool. 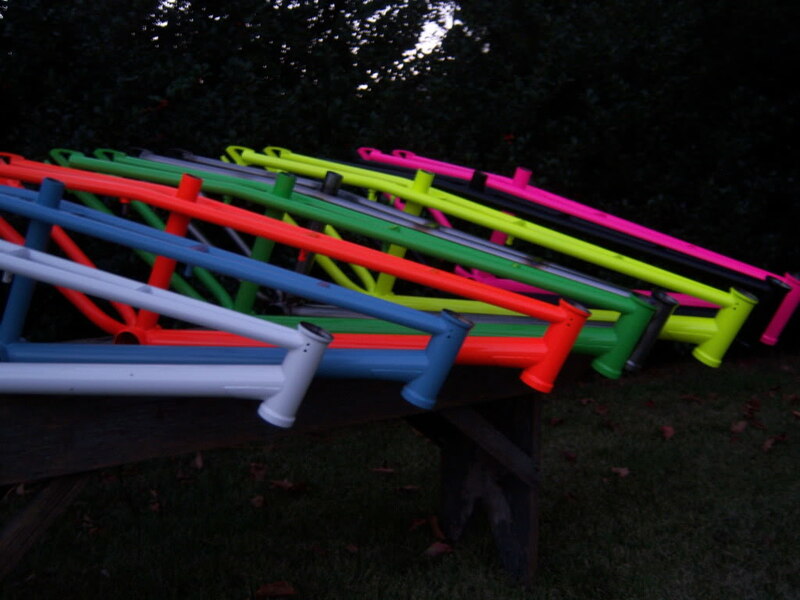 If you want more info on Josh’s frame, drop him a line at info@coyotebicycles.com. You can also check out his site (which is still in development) at www.coyotebicycles.com or his feature on bmxmuseum.com. And for those of you thinking this frame would make an awesome Haro Master replica with the addition of some old school decals and paint, I was thinking the same thing. Just imagine if this guy with retro Nyquist 24 got a hold of this frame.